There are comfortable common areas, and spacious rooms. 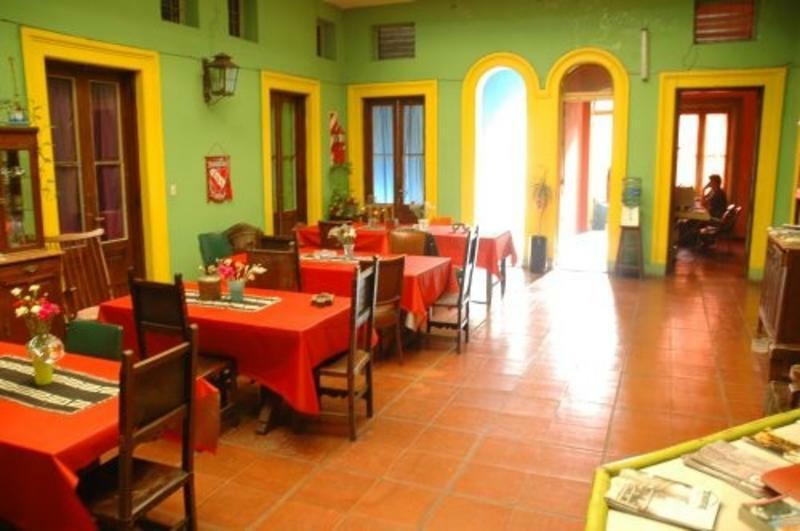 The atmosphere is relaxed, and cool, in a fun, and cozy environment.Hostel Sol is located in a house built in 1892. It has been adapted to the needs of a Hostel that caters to youth, backpackers, students, and all travelers passing by Buenos Aires who wish to live here for a while or even settle down in Buenos Aires.It has two floors with 24 Rooms. 1 of the rooms is a mini apartment loft, and we have 4 large loft apartmens-suites with balconies overlooking the 9 de Julio Avenue.We have functional rooms of 1, 2, 3, 4, 5, 6, 8 beds. They all have their own assigned lockers. On the first floor there are full bathrooms for men and women, and complete kitchen. On the second floor there are more full private bathrooms.Most of the rooms surround a great roofed patio, a wonderful common area with tables, and chairs, plants, life, and soul..
Take the line C of the undergroound railway in the Retiro Station and get off the train at San Juan Station. Cross 9 de julio Av. Take bus 45. Get off at 1100 Chacabuco street. Walk douwn San Juan Avenue. Cross 9 de julio Av. Take Bus 86, get off at 9 de julio Av. Walk ( Dan up ) x blocks to San Juan Av.